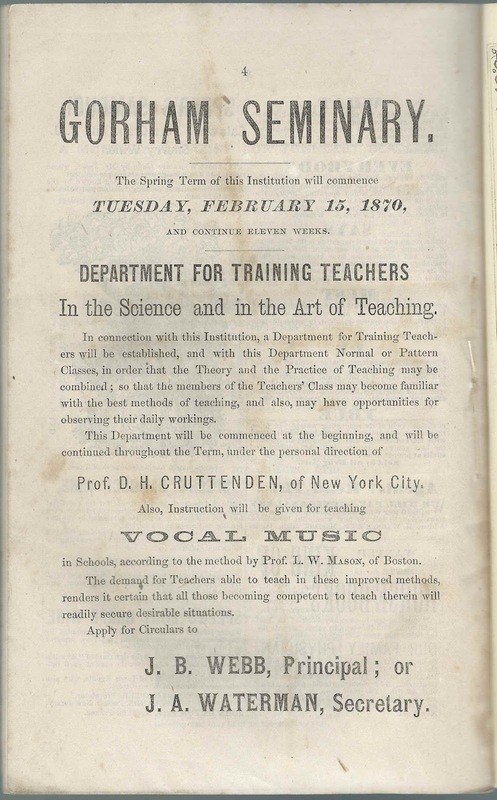 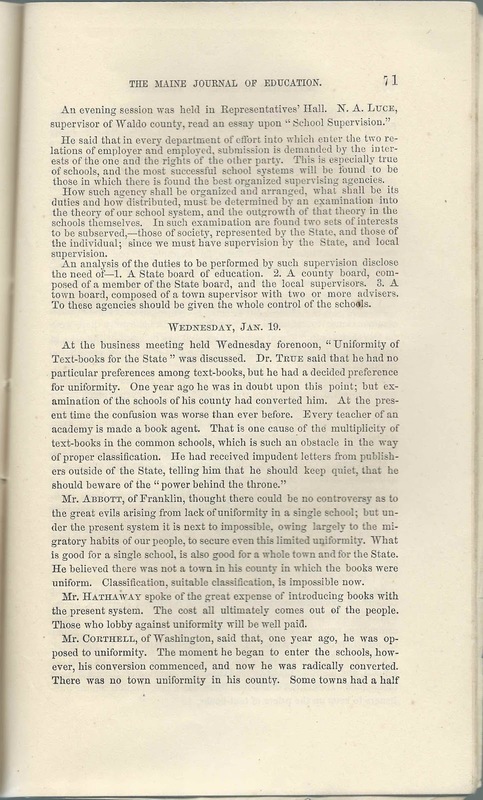 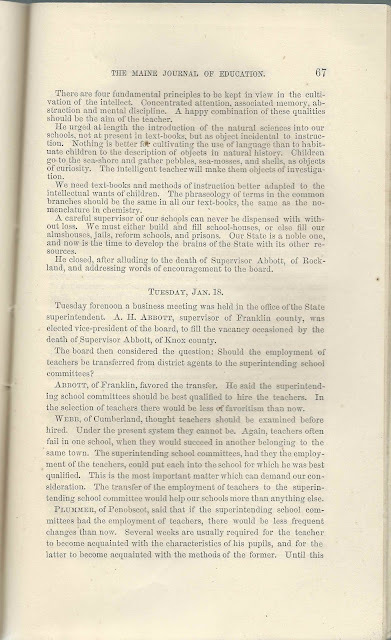 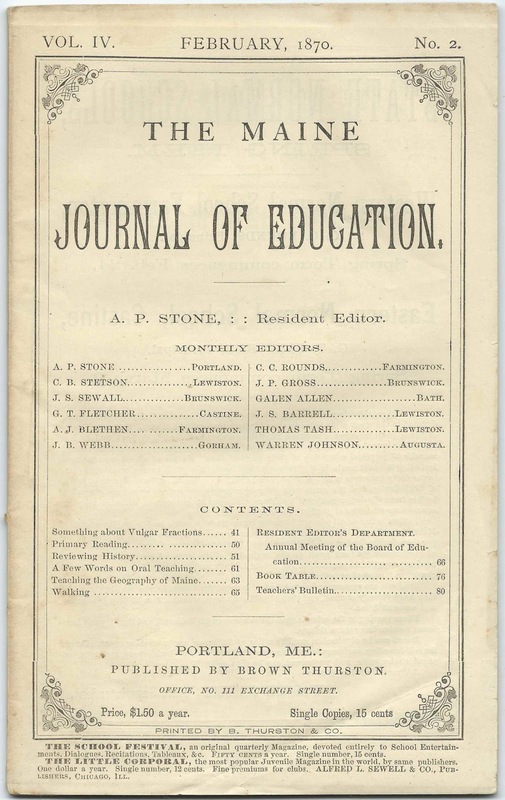 The Maine Journal of Education, Volume 4, No. 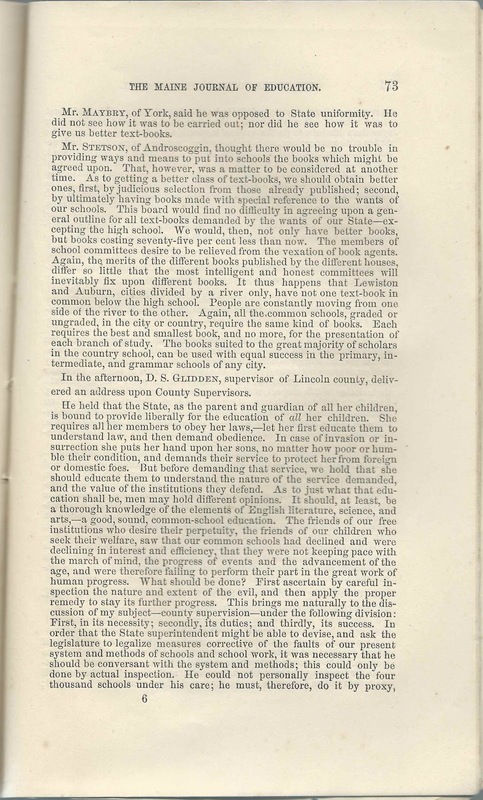 2, issue of February 1870; published by Brown Thurston, of 111 Exchange Street, Portland, Maine. 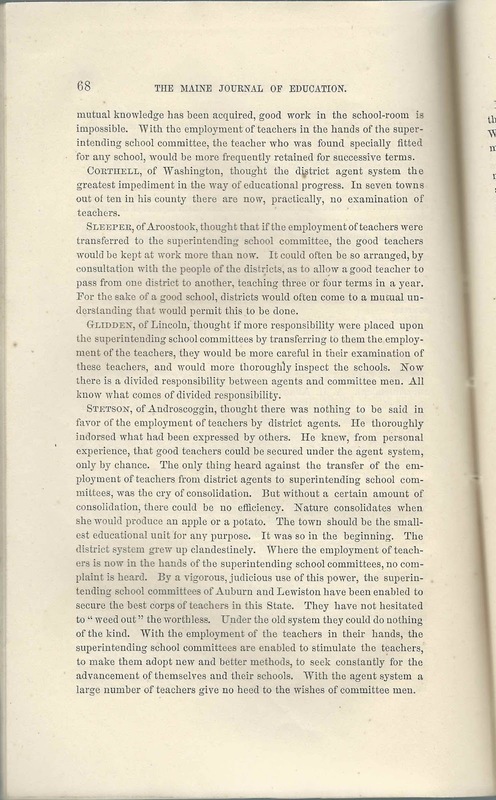 The entire volume has been digitized by Google Books here, but I'll feature pages that mention Maine educators. 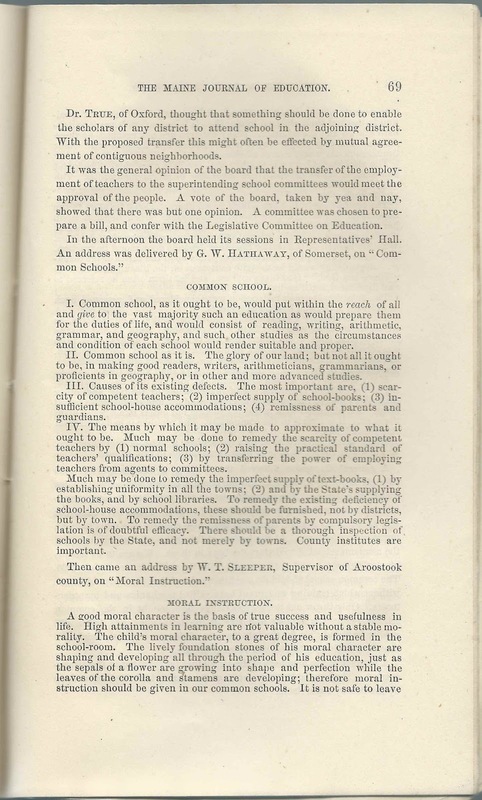 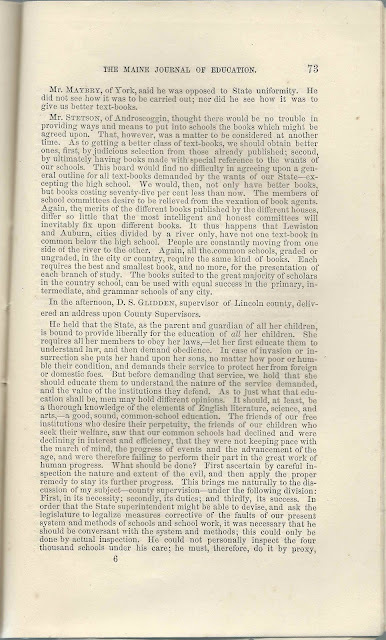 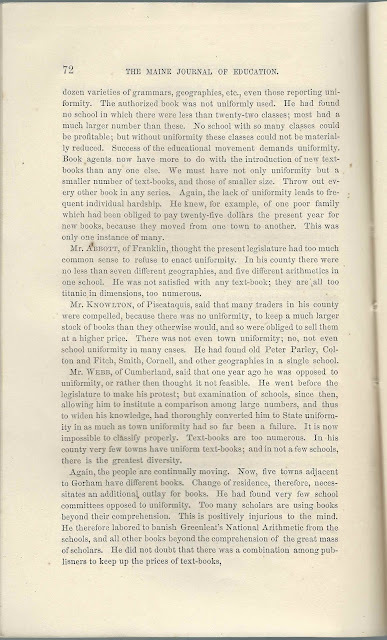 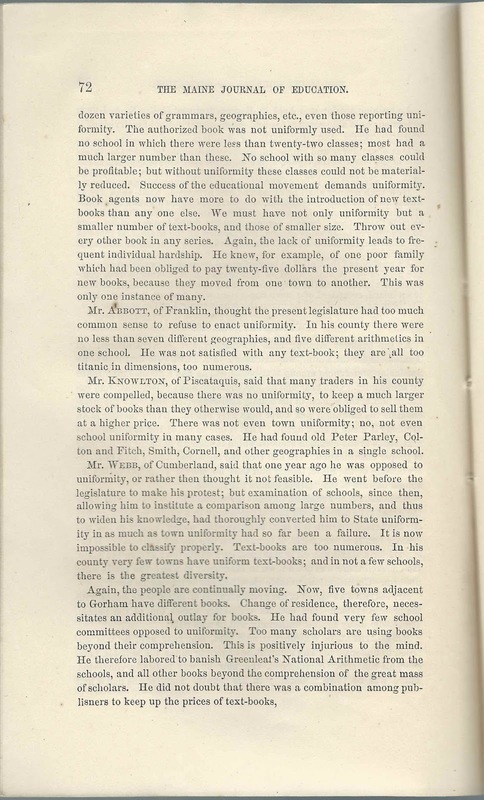 Also, the digitized version does not include the pages of advertising at the beginning and end, several of which pertain to Maine schools, as shown below. 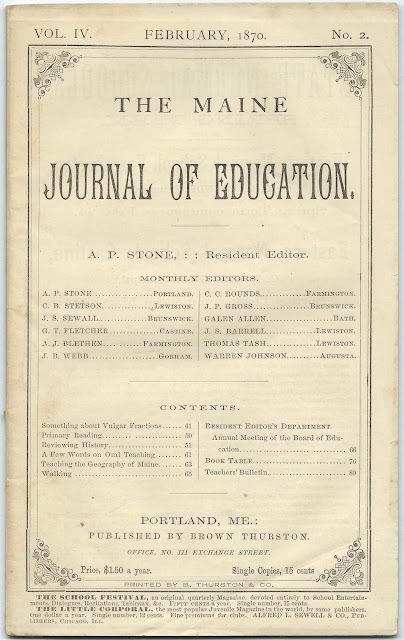 Among the articles, one deals with "Teaching the Geography of Maine", written by A. P. S., who may have been A. P. Stone of Portland, Maine. 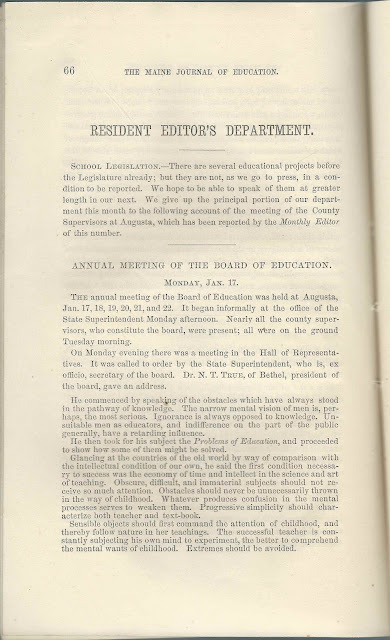 The page below mentions Dr. N. T. True of Bethel, Maine. 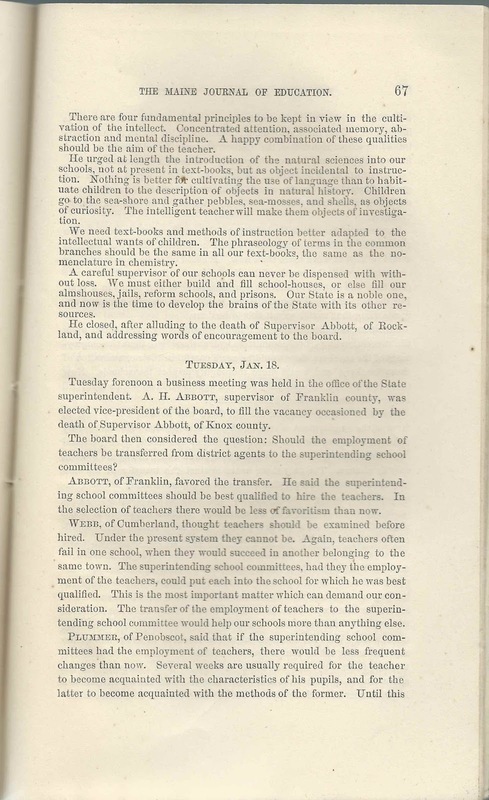 The page below mentions the start of the school year for the Eastern School at Castine, set for March 9. This was the normal school known as Eastern State Normal School. 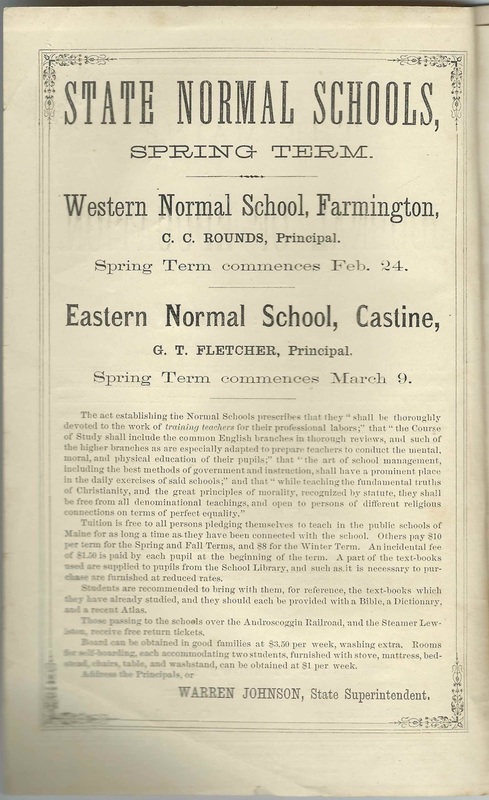 If you have information on any of the people mentioned above, including full names of anyone listed with initials, please leave a comment or contact me directly. 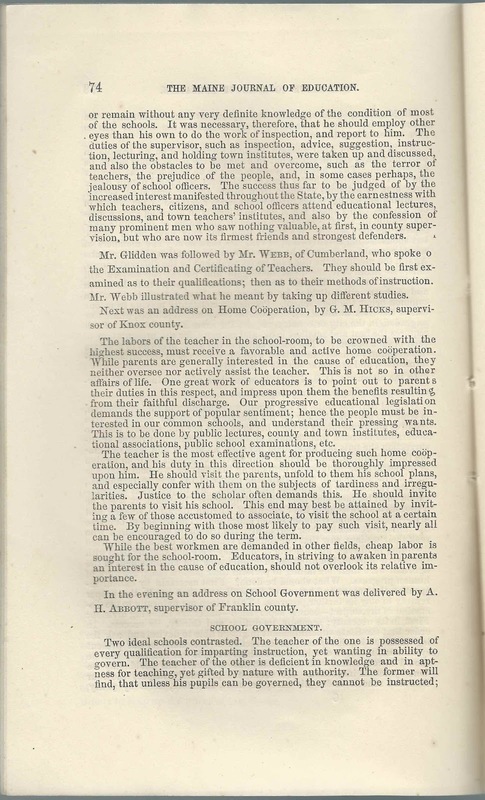 See a map of the counties in Maine here.